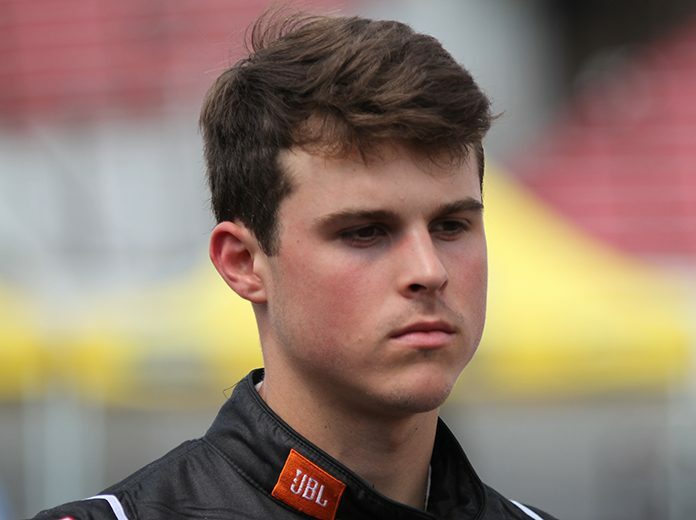 CONCORD, N.C. – Cole Rouse will compete in the final two ARCA Racing Series presented by Menards events of the year with Venturini Motorsports. He’ll join the team for Friday’s General Tire Super Weekend: Crosley Brands 150 at Kentucky Speedway. Rouse, a native of Fort Smith, Ark., will make his ARCA series debut driving the VMS prepared No. 15 Musselman’s BIG CUP Apple Sauce Toyota at Kentucky Speedway. He’ll also drive in the series’ season finale at Kansas Speedway on Oct. 20. Friday night’s ARCA race on Kentucky’s 1.5 mile surface will mark Rouse’s first start on a track larger than one-mile. Rouse will get a warmup as he’ll join VMS for a scheduled series open test session at Kentucky Tuesday. Currently leading the CARS Super Late Model Tour driver point standings, Rouse has notched two series victories (Orange County Speedway and Concord Speedway) racing under the Toyota Racing banner with Kyle Busch Motorsports.